Greetings out there anglers! As we turn the corner to September, we’ve got some very similar conditions out on the local rivers. Otter tributaries are low and clear, and although this morning was chilly, it looks like we have a bit more heat and humidity to deal with in the coming days. 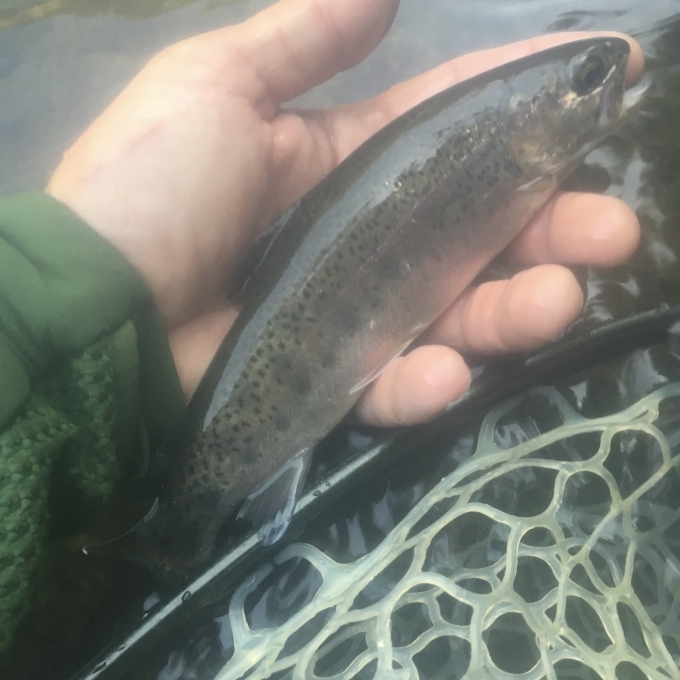 I was able to get out on the Middlebury River this morning and found a cool 62 degree water temperature in East Middlebury and was able to pick up a few fish from the faster pocket water in that stretch. Most fish came on size 14-16 frenchies. I saw a few random mayflies and caddis flittering around, but no surface activity, as all the fish I hooked were in the fast water/plunge pools of the pocket water. Still, not a bad few hours on the river. Things will continue to be the same scenario until we get some rain and/or cooler daytime and nighttime temperatures. I haven’t taken a temperature on the Otter around town recently, but would expect it to be over 70. Once we get past this next warm up, I will probably start checking. One thing to be on the lookout over the next few weeks that could cause an uptick in activity would be a flying ant hatch/dispersal. The trout take notice as well and tend to feed aggressively when such a hatch takes place. In my experience, the naturals are fairly small, like in the 14-18 range or sometimes smaller, so be sure to have a few patterns on hand. If you have trouble seeing that small of a bug, try a parachute ant or run it in tandem with a larger dry that you can see. We’ve got some of our new fall product coming in daily, so be sure to stop by the shop, especially if you haven’t been in recently. Steve and I also recently got to preview some spring 2019 product from Simms, Umpqua, and Lamson as well as offerings from Costa and G. Loomis and Scientific Anglers. Needless to say, the spring turn out of product looks great!